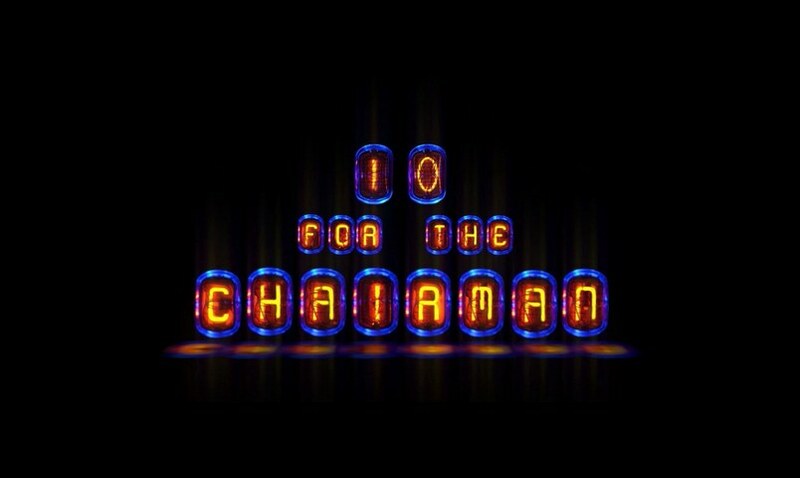 It’s a special episode of 10 for the Chairman. What could it be? Check it out inside. [0:58] Q: What are your jobs and responsibilities in your role with CIG? A: A lot of travelling around to the different offices to manage and make sure they are running smoothly. Erin is also in charge of the UK studio and runs Foundry there as well as some responsibilities in the Frankfurt office which falls under the Foundry 42 wing. [2:18] Q: How much of the Shubin Mining Platform’s interior will we be able to explore in SQ42? A: Lots! There’s lots of different rooms, areas, manufacturing plants and the like. There’s different landing platforms, different places to enter and lots of stuff to do inside. [3:25] Q: Is Squadron 42’s feature-list final? Will there be any additions or removals? A: It is finalized what’s going into Squadron 42. It is known exactly what’s going to be in the game, there will be no more rounds of cuts. We’ve had that known since last year. There is also shooting in a few weeks to catch any missing footage they need. [4:41] Q: Could you explain the differences in your and Chris’ roles within the same company, while pointing out the benefits and challenges of working with your brother? A: Chris provides a vision and direction and pushes the envelope on technology and design, whereas I offer counterpoints and make the practicalities of his vision a reality via scheduling, logistics, etc. [6:59] Q: How much will we interact with NPC crew and wingmen? [8:34] Q: Does the landing zone pipeline benefit from improvements to the ship pipeline? Are landing zones still in development or do they need the procedural technology to be completed first? A: Some of the ways we do things to build ships faster also benefit the environment pipeline. The environment pipeline is designed to be very modular but not to look repetitive. Going forward we will be able to create large, complex and detailed areas for the PU: we’re already doing this for SQ42. The procedural stuff will come online later this year with the new streaming tech. [10:54] Q: Do you ever find yourself being challenged with a ‘dream big’ mentality vs a ‘be realistic’ mentality? A: Focused on getting the cores features and some of the smaller things around it. Yes, it’s a big task to work out next steps and focusing it down from there. [12:53] Q: What will the Squadron 42 team do after the first episode is released? A: We’ll go out for drinks and then go straight to work on Episode Two. There’s more ships and environments to create along with other elements, but we will be supporting the PU and creating ships for that as well. [14:11] Q: Has your experience with the Lego series or other past games helped you with CIG at all? A: Star Citizen is hard to compare anything to, but the work on the Lego series helped teach about scheduling and organisation. But keeping tight to the schedule has been the biggest lesson brought over from previous works. [16:11] Q: Next major milestone you’re excited about? Persistence is very close. So shopping and buying stuff and will introduce Alpha UEC which allows us to test the currency that will be used in the PU. Procedural tech integration is coming soon after persistence which will make a huge difference because it’s not just planets, but everything else is affected as well.